At Prather & Harlan A/C, we are fully committed to your comfort! Let us advise you in determining the optimum comfort solution for your residential or commercial space. Our technicians carefully consider many factors before recommending a heating or cooling system that best matches your needs. Let us ensure you and your family receive the ultimate in comfort and performance from an American Standard heating and cooling system! Whether you need a completely new installation, or simply a repair, Prather & Harlan A/C can provide energy saving tips and share important facts about the effectiveness of our commercial or home Air Conditioning, Air Filtration, and Heating Systems. 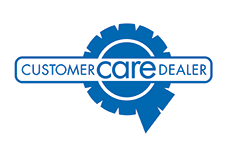 Prather & Harlan A/C is proud to be a Customer Care™ Dealer with American Standard Heating and Air Conditioning! This designation is your assurance that you will receive quality products and dependable service, ranging from system recommendations to convenient financing. We are fully committed to excellence in every aspect of our business. When it comes to you and your family’s comfort, you should expect nothing less! Ready to learn more about our home heating and cooling products? Contact us now at 979.265.4094!